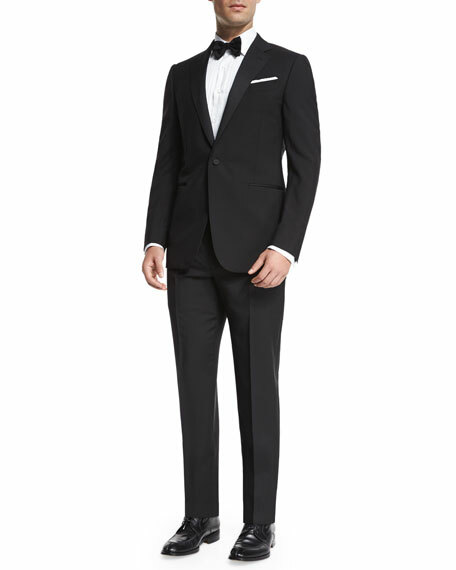 Tom Ford "Windsor" base tuxedo. Front besom pockets with grosgrain detail; hand-stitched chest welt pocket. 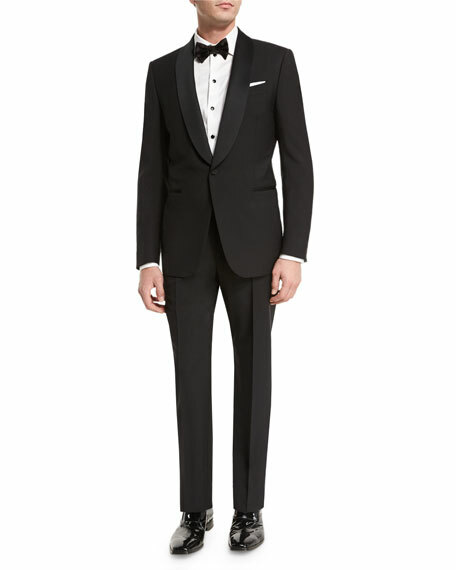 Signature Tom Ford details like hand-rolled three-fold hand cord and exclusive blend lining. Grosgrain taping down sides of trousers. 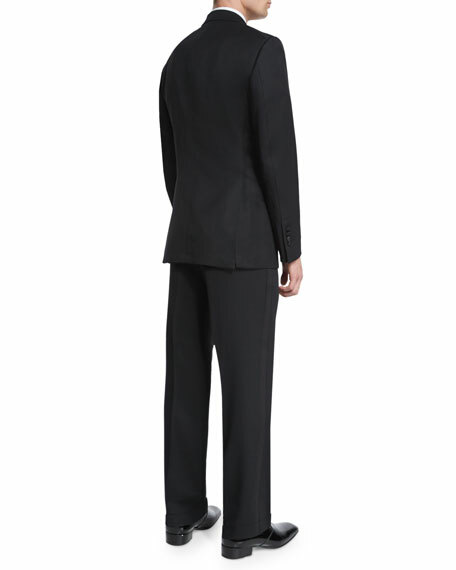 Side adjusters for perfect fit. 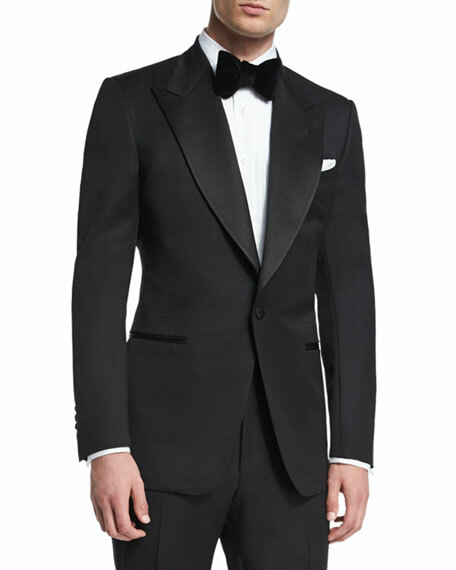 Ermenegildo Zegna two-piece tuxedo suit. 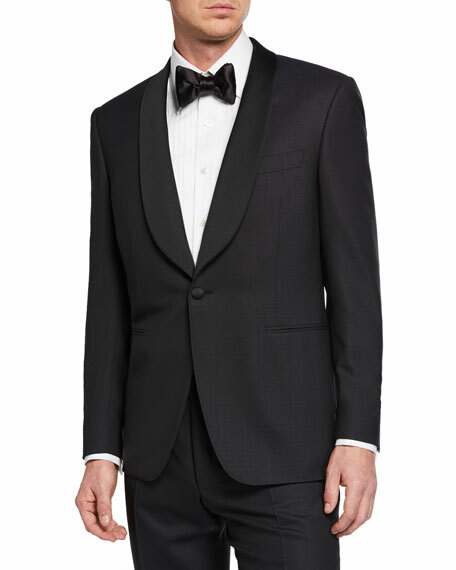 Satin shawl collar; one-button front. Finished sleeves. Front besom pockets; chest welt pocket. Double-vented back. Matching flat-front trousers. Unfinished hem to be tailored to desired length. Wool/mohair. Made in Switzerland. 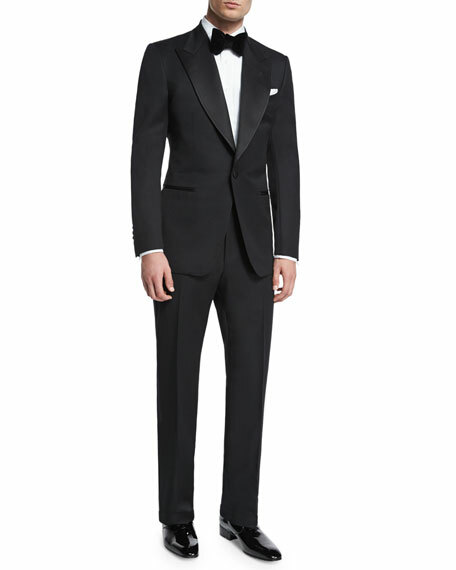 Ermenegildo Zegna two-piece tuxedo suit in wool-silk blend. Grosgrain peaked lapels; one-button front. Basted sleeves. Besom pockets. Double-vented back. Includes matching flat-front trousers. Unfinished hem to be tailored to desired length. Wool/mulberry silk. Made in Switzerland.